If you have a job that occurs at the same site address for the same billing customer, you can create a recurring job so that you do not need to assign, schedule and create the job every time. 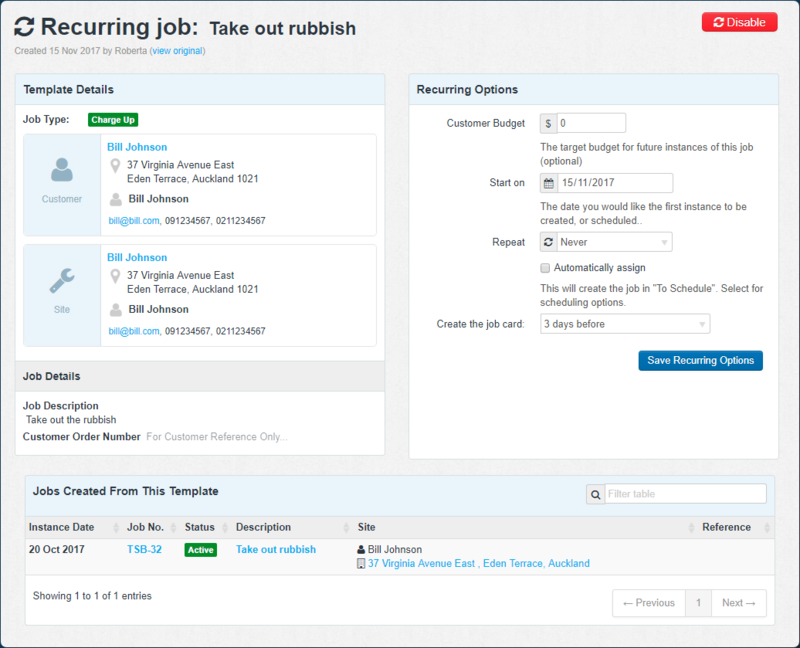 You can assign a group or specific users to look after this job. If you select specific individuals you can automatically schedule in their times.